"At this point I was thinking about reinstalling Windows, but after seeing the difference in speed between running no security software, and running just one spyware remover, I decided that perhaps it was time to buy a new, faster laptop. "Speed is also a much under-rated advantage that OS X has over Windows. When Microsoft released Vista, it made all sorts of claims about how fast it would boot and shut down, claims which are blatantly untrue. I've been using OS X on a G4 (PowerPC) for a few years at work. I never thought it was that fast, but on an Intel platform, it's much, much quicker and frankly, it blows Vista out of the water...."
"It isn't exactly that low-power, quick-boot, MacBook Thin that people have been clamoring for, but 33 MHz, a built-in floppy drive, and a 1:1 bus clock speed ratio brings it pretty darn close. Or not." "I don't want you to feel guilty or anything, but I feel that you should know that a week ago today, I was lying in a hammock on the Hawaiian island of Kauai, letting the breeze ruffle my hair and the sun warm my face, all while sipping a cool refreshing glass of tropical fruit juice. And now, I'm back in the rainy cold northeast. Just in the interest of full disclosure. Thanks: I missed our little chats. "Anyway, while Hawaii was great, its location is about as convenient as the delete key on the iPhone's touch keyboard. Twelve hours spent on a plane is not the most pleasant way to bookend a relaxing trip. But one thing that mitigated the cramped airplane seats that make me wish I'd studied a bit more yoga was picking up a MagSafe Airline Adapter for my MacBook. So far, this is the only MagSafe available on the market (not counting the MikeGyver 'hack' adapters). At $60, it might seem a little bit pricey, but once you get past a few caveats, the thing is worth its weight in salt (really, much more useful than gold, when you think about it)." "You can calibrate your iBook, PowerBook, MacBook or MacBook Pro computer's lithium ion battery for best performance. "The battery has an internal microprocessor that provides an estimate of the amount of energy in the battery as it charges and discharges. The battery needs to be recalibrated from time to time to keep the onscreen battery time and percent display accurate. With all iBooks and PowerBook G4 computers except the aluminum PowerBook G4 (15-inch Double-Layer SD), you should perform this procedure when you first use your computer and then every few months thereafter." PR: Seagate Technology has launched a new era of digital storage by shipping in volume hybrid notebook disc drives that combine disc storage with flash memory to deliver ultra power efficiency, faster bootups and greater reliability for the exploding laptop PC market. The Seagate Momentus® 5400 PSD Hybrid Drive combines a hard drive and flash memory into a single device. Duplicating the most commonly used hard drive data onto the nonvolatile cache for instant access provides faster bootup and performance. Hybrid drives offer many of the benefits of solid-state drives at a fraction of the cost. Seagate Momentus 5400 PSD hybrid drives extend battery life, increase the longevity of your storage, and improve productivity with almost instant boot up and data access. "With instant access to content an increasingly essential part of the digital lifestyle, laptop users expect systems with snappy response, longer battery life and new levels of durability," said Tom Major, Seagate vice president, Personal Compute Business. "Seagate is delivering in volume worldwide the best of two worlds - hard disc drives and flash memory - to enable laptop PCs with cutting-edge capabilities and tighten the connection between users and their information." Seagate has been at the forefront of introducing energy-saving features on its hard drives, and the new Momentus 5400 PSD hard drive ends the perennial tradeoff for notebook PC makers. Laptop users want faster systems, but boosting laptop PC performance with higher speed components has traditionally meant higher power consumption and shorter battery life, raising the question: How do you reduce power consumption while delivering faster access to notebook data? Combine power-efficient, quick-response flash memory with a fast hard disc drive. Faster bootup - Once a notebook is turned on, a traditional hard drive's platters must spin up before bootup can begin. 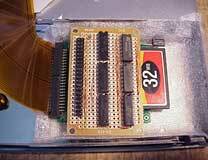 Hybrid hard drives load bootup files on the flash memory to minimize this delay. Once the drive spins up, computer files are pulled simultaneously from the spinning media and the flash. Lower power consumption - Seagate's Momentus 5400 PSD hard drives reduce hard disc drive power draw by up to 50 percent and extends battery life - especially important in mobile applications - by reducing platter spin time. In hybrid mode, the hard drive's spindle motors spin down, dramatically reducing the drive's power requirements. 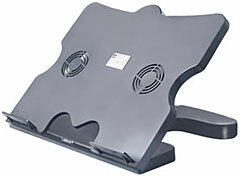 Greater reliability - Reducing platter spin time extends drive life by minimizing wear and tear. In hybrid mode, the drive locks its read-write heads in place, enabling the drive to withstand 900 Gs of shock, the rough equivalent of dropping a laptop from a height of six feet to a hard surface. Higher performance - Hybrid hard drives also quicken access to laptop data. Windows Vista's ReadyDrive technology uses Vista Superfetch to analyze computer usage patterns - such as how frequently a worker accesses certain files - and place commonly accessed user data in the flash memory to shorten system response time. All versions of Windows Vista deliver native support for hybrid drives, so system builders and end users alike can take advantage of hybrid hard drive technology today. Hybrid technology also delivers benefits for desktop, enterprise and other hard drives. Look for hybrid technology on other Seagate drive platforms in the future. The Momentus 5400 PSD drive is available in 80, 120 and 160 GB capacities with a 256 MB flash memory. PR: Shenzhen VAZIO Technology Co. have recently released a new product, the iDock Ergonomic laptop stand with cooler fans. iDock is a multifunctional design that comes with Cooling Fans, 4 Port Hub, and a height adjustable platform. Laptops are great, but they encourage poor posture which can lead to back, neck and wrist strain. The problem of course, is that the screen and keyboard are attached together. This is handy on the train, but it means that using a laptop is a tradeoff between poor neck/head posture and poor hand/wrist posture; either the keyboard is too high or the screen is too low. Additionally, laptop keyboards are generally too small for comfortable use. This is all fine for occasional use, but if your laptop is your main PC, you should have the top of the screen just below eye level and the keyboard just below elbow height. Also the screen and keyboard need to be independent, so each can be put at a comfortable distance. One option is to use a separate screen (plus keyboard and mouse). 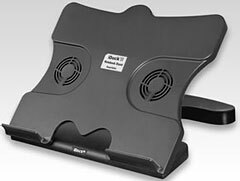 However if your laptop has a decent screen (as most now do), a more efficient solution is a laptop stand. The stand elevates the laptop to the correct screen position and you use a separate keyboard and mouse. 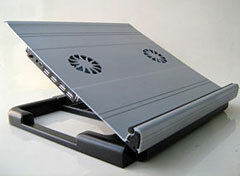 Image: Griffin, Timothy, "The Adaptive Laptop". October, 2001. Timothy Griffin, Industrial Design Program, The University of Calgary. The laptop is too high and distant. Your arms are raised and outstretched, resulting in unnecessary fatigue in your shoulders, neck, back, forearms and hands. On your lap. Facilitates good arm position, but your head is dropped, causing muscle tension in your back, neck, shoulders and chest. The laptop is on a typical desk which is too low and close for comfortable viewing, and too high for upper body comfort. Your hands are higher than your elbows, your wrists are resting on the edge of the desk, and your lower back is not supported. This position increases the risk of injury to your neck, back, elbows, and wrists. Use an external mouse and keyboard wherever possible. Keep the mouse and keyboard at the edge of your desk. Adjust your chair so your desk is just a little below your sitting elbow height. Raise the laptop so the top of the screen is just below your eye level. Use a laptop stand, stack of books, or similar. Sit back in your chair and keep your head directly over your shoulders. Don't lean on your desk while typing and keep your elbows in line with your shoulders, hanging loosely at your sides. When using the laptop keyboard, try not to drop your wrists onto the "wristrest". Instead, move your hands freely across the keyboard and keep your hands in line with your elbows. Space-saving, moneysaving solution eliminates the need for extra monitors. Built-in 4-port USB 2.0 hub provides one-time connection for computer accessories. Allows positioning of LCD at eye level to help reduce neck strain. The iDock 1 stand is being marketed in North America as the COOLdock Laptop Stand With Fan Forced Cooling System by the Bad Back Store. Ready for tough treks to the country or rough cruises to and from work, the Ascend combines backpack capacity with overall ruggedness. Cushioned computer nest, full front compartment, side pen & key pockets, plus a media player cache . . . the true road warriors' ultimate weapon. Click on the tabs above for more information. PR: FreshBattery, a reliable online source for healthy, long life replacement batteries that support a wide range of notebooks, today announced it now offers replacement batteries for the popular Apple MacBook Pro 15" notebook computer. The FreshBattery Lithium Ion battery for the MacBook Pro provides 11.1V with a capacity of 5400mAh. FreshBattery is offering an introductory price of $99.95 and the battery comes with the FreshBattery guarantee. At 5.4 pounds and only one inch thick, the popular MacBook Pro is Apple's first professional notebook to run on an Intel chip, providing high performance in a light, portable computer. The FreshBattery online store offers a one-stop battery source for popular laptop models including Apple, Acer, Dell, Fujitsu, Gateway, HP-Compaq, IBM-Lenovo, Sony, Panasonic and Toshiba. The site is user-friendly and provides multiple search tools to ensure each customer can quickly locate the correct battery to fit his or her computer model. Each FreshBattery is stamped with a "Born On" date to ensure freshness. In addition to the Legacy Power line, FreshBattery offers the competitively priced überPower battery line, delivering as much as 75% longer runtimes than original equipment manufacturer's (OEM) batteries. A reliable online source for built-to-order notebook computer batteries, FreshBattery offers healthy, long-life lithium ion batteries at competitive prices. FreshBattery guarantees each battery will be brand new, built-to-order and never refurbished. FreshBattery is headquartered in Irvine, California. PR: LaptopBatteryStore.com, a newly launched ecommerce store, provides high quality, affordable laptop/notebook computer batteries for more than 7,000 laptop computer models. The store sells only brand new compatible batteries, all of which are backed by a 30-day money back guarantee and one year free replacement warranty. High quality laptop batteries and accessories for a wide range of laptop/notebook computers are now available from the new ecommerce store LaptopBatteryStore.com. LaptopBatteryStore.com offers a comprehensive product line of batteries for more than 7,000 computer models. "LaptopBatteryStore.com was created to help reduce the cost of replacement laptop batteries by offering premium quality batteries at amazingly competitive prices," says Samantha Crickey, of LaptopBatteryStore.com. "Consumers can purchase a product knowing that it meets their expectations and needs." LaptopBatteryStore.com sells only brand new compatible laptop batteries. Batteries sold on the site come from state-of-the-art manufacturing plants and are constructed of the highest quality cells and materials. All laptop batteries sold on the site meet the same standards and guidelines applicable to original equipment manufacturer (OEM) battery packs. Laptop batteries sold by LaptopBatteryStore.com are guaranteed to be of the same quality and perform just as good as, if not better than, OEM brands. The ecommerce site provides laptop batteries for all major laptop computer brands, including Apple, Compaq, Dell, Fujitsu, Gateway, HP, IBM, Lenovo, Sony and Toshiba. Individuals that purchase laptop batteries from LaptopBatteryStore.com will find competitive pricing on all products. For example, consider the Apple iBook laptop battery part number 661-1764, used in the 12-inch Apple iBook. Apple retail price for the 4700 mAh, Li-ion laptop battery is $129. Part number AP13M2, available from LaptopBatteryStore.com, is a fully compatible alternative available for $70.10, a 45 percent savings. All laptop batteries available from LaptopBatteryStore.com are backed by a 30-day money back guarantee and a full one year free replacement warranty for any manufacturing defect. 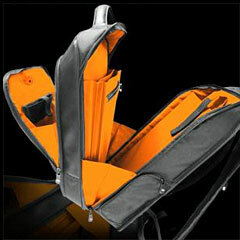 All items are stocked and shipped directly, and the company offers fast, same-day shipping on all orders in stock. 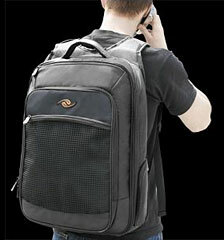 The individuals at LaptopBatteryStore.com are specialists in batteries and battery technology products. The company has a dedicated customer service team that enables customers to speak with someone and receive timely updates on orders.